Chinook Futures Coalition, a little-known group from southeast Alaska, has filed a petition with the National Marine Fisheries Service (aka NOAA Fisheries) to delist the Snake River fall Chinook (SRFC) from threatened status under the ESA. In a Jan. 16 letter to Assistant Administrator Eileen Sobeck, the group argued that the hatchery component of the run must be included in the status determination. "Consequently, the attempt in the most recent SRFC status review to suggest recovery standards based on population thresholds achieved by non-hatchery fish only violates the ESA and the [Administrative Procedures Act]," the group asserted. The petition argues that NMFS acknowledges that the short-term extinction risk of the SRFC is zero, since the hatchery programs are continuing, and the long-term extinction risk (100 years) is less than 1 percent. The petition estimated more than 8,000 wild fall Chinook spawned in the mainstem Snake in 2014 (see story 3), noting that 391 spawners were estimated in 1992, when the ESU was listed as a threatened species. The petition says the 10-year geometric mean of returning wild fish is more than twice the recovery standard of 3,000 fish, and if hatchery fish are included, the 10-year geometric means for all SRFC spawning in the Snake River, and for those exclusively spawning in the mainstem are 18,347 and 10,443 respectively. 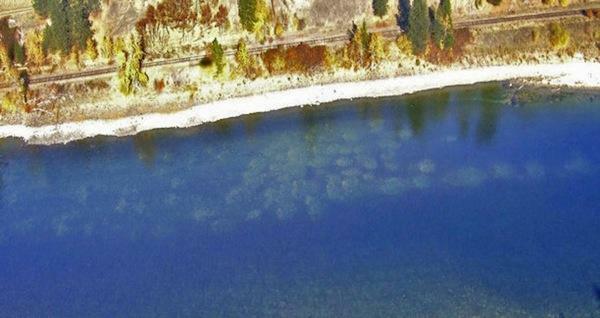 The petition says the requirement calling for more than a single population group has also been fulfilled, since the fall Chinook have colonized the Clearwater River, where nearly 3,000 redds were counted in 2013, when only 4 were counted in 1991. It also says several other standards for delisting have been met. "In considering these guideposts," says the petition, "it is important to recall the Alsea Valley Alliance case and the NMFS Policy on Hatchery Origin Fish, as well as the SRFC listing determination that specifically includes hatchery origin fish in the evolutionarily significant unit (ESU). "Given the court's decision," the petition continued, "the agency's policy statement, and the ESU listing, it is legally inappropriate to redefine the ESU as is done in the 5-Year Review to exclude hatchery fish when calculating the 3,000 and 2,500 'recovery' thresholds. "However, it must be noted that even if these numbers are the standard, SRFC meet this goal and should be delisted." The feds have 90 days to determine whether a delisting may be warranted. If NOAA agrees it is warranted, the agency will conduct a complete status review of the listed species and make a final determination within 12 months. According to information available from web sources, the coalition's original goal was to end the 15 percent, 10-year harvest reduction on Chinook by southeast Alaska fishermen, that the state agreed to during 2008 renegotiations of the Pacific Salmon Treaty between Canada and the U. S. In return, the feds paid Alaska $7 million. But treaty talks in 2014 did not modify that agreement. CFC spokesman Howard Pendell, told NW Fishletter that it's high time the Snake fall Chinook got a closer look, in light of the record returns. Pendell is a Sitka-based salmon troller and serves on the Northern Panel of the Pacific Salmon Commission. In 2013, the group received funding from one of southeast Alaska's private, non-profit hatchery associations for a study of ESA-listed Chinook stocks, after some Alaskans felt the ESA was being used to intimidate Alaska into giving up access to healthy and rebuilt returns of Chinook salmon. The study was designed to evaluate the status of Chinook stocks "as to whether or not they are being correctly represented as endangered, when in actuality the stock(s) may be rebuilt and achieving adequate escapements," according to the November 2013 meeting minutes of the board of directors of the Northern Southeast Regional Aquaculture Association. The Chinook Futures Coalition's Snake fall Chinook petition was reportedly funded in part by a southeast Alaska's commercial gillnetters' association with a $100,000 contribution. It seems doubtful that NMFS will move to delist the fall Chinook ESU anytime soon, since the ESU's recovery plan is still being written, and official delisting criteria have not yet been finalized. In 2013, at the annual meeting for managers involved in the Lower Snake Compensation Plan, fish managers admitted they were still not sure why the fall Chinook have responded so well. "It is essential that the co-managers determine why we have achieved such a positive abundance response in Snake River fall Chinook, as it may represent one of very few successful examples of hatchery supplementation," noted Oregon Department of Fish and Wildlife's Rich Carmichael in his presentation. "Understanding the magnitude of contribution of supplementation, ocean conditions, in-river migration, hydro operations and spill, as well as density dependent relationships, is critical to future management decisions." The 2013 meeting produced a list of things they expected to know by 2018, which included the fall Chinooks' spawning distribution, the magnitude of predation by smallmouth bass and channel catfish, and the best management strategy for juvenile passage. By 2018, the managers expect to have a better understanding of the productivity of the naturally spawning population, and the percentage of hatchery-origin fish in the naturally spawning population at spawning aggregate scales. They also expect to have more information about the density-dependent relationships between spawner abundance and juvenile production, the relationship of juvenile fish growth and survival to food availability and abundance, the range of juvenile spatial and temporal rearing patterns, and pre-season run forecasts. And then there is the list of things they still don't expect to understand by 2018. These include relative reproductive success of hatchery and natural-origin spawners, the magnitude of mini-jack returns and their contribution to natural spawning, the differential use of habitats by hatchery and natural-origin fish, the abundance of basin-wide juvenile production, and the impact of sturgeon on juvenile production (egg consumption).